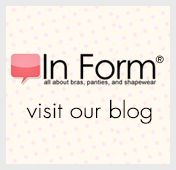 Have you ever worn a waistline brief, hi-waist brief, or bodybriefer and experienced "pinching" at the leg openings? This problem can be caused by the elastics used to hold the garment in place. The shapers below offer an alternative. They’re designed with Comfort Legs that don’t incorporate elastics around the leg openings, using lace or folded-fabric construction to deliver the necessary hold without the uncomfortable "dig."